A Pakistani-born pilot is suing JetBlue Airways Corp. for discrimination, claiming the airline rescinded a job offer and told him it was because of his background. Faisal Baig, a U.S. citizen who was raised in Yonkers, N.Y., claims in the suit that an airline manager told him in March that he was a "security risk." According to the suit, filed in Manhattan Supreme Court, Baig asked, "Are you saying that you are not hiring me because of my name or my religion? ... Are you saying you are not hiring me because of where I'm from?" The manager answered, "Yes, and JetBlue considers you a security risk," according to the suit. Baig claims he was offered the job in February and had already received a ticket to attend the airline's training school in Orlando, Fla. The 40-year-old, a Muslim, had previously flown for Independence Air for nearly six years. "I was devastated," he said. "I've been living in this country since I was 7, and now somebody's telling me I'm not a good American." 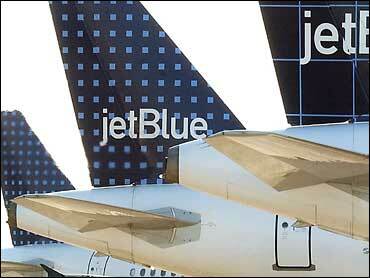 Bryan Baldwin, a spokesman for JetBlue, declined to comment because it is a pending legal matter. Baig, whose suit seeks an unspecified amount of money, is now living in Raleigh, N.C., where he is continuing to look for work as a pilot.